Top 100 Tools for Personal & Professional Learning 2017 – ie. the tools used by individuals for their own self-organised learning and self-improvement – inside and outside the workplace. Top 100 Tools for Workplace Learning 2017 – ie. 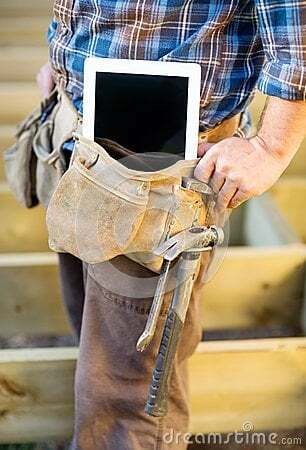 the tools used to create and/or manage e-learning or for performance support, or tools used by work teams and groups for informal social and collaborative learning. Top 100 Tools for Education 2017– ie. the tools used by educators and academics in schools, colleges, universities, adult education etc. I frequently use her annual Top Tools for Learning in both my doctorate and masters courses. My look at my use of tools and my Top Ten were posted last September. Some of the shift over the past three years comes as I retired from full-time faculty development and spend more time in online teaching. However, I still dabble in faculty development – I have just spent the past two months consulting for the VCU School of Social Work as they update their elearning offerings. I teach for both Northeastern University and Creighton University. That means two different LMSs (Blackboard and Canvas), but the LMS does not make my top ten…and I continue to be comfortable teaching in any (or none). I introduce my students to blogging and social media, so Twitter, Tweetdeck, Diigo, WordPress, and Facebook are all actively used in my instruction (and in work submitted by my students). I personally use Tweetdeck, Feedly and Netvibes to organize student tweets and blogs. Camtasia and Snagit are used frequently to create multimedia for my classes…or respond to student questions. I also instruct my students on curating their own content, and a favorite of my students this past year has been Pinterest. I started using the Apple Watch this year..and it is amazing how quickly that becomes a part of daily use, from seeing social media to texts to fitness apps…and the timer keeps me on time to meetings! So it seemed right to add it to my top tools, even though I continue to use the iPhone, iPad, and laptop daily…as well as my trusty Dell desktop. Big shout out to Jane for continuing this interesting snapshot of tool use across corporate and education settings! 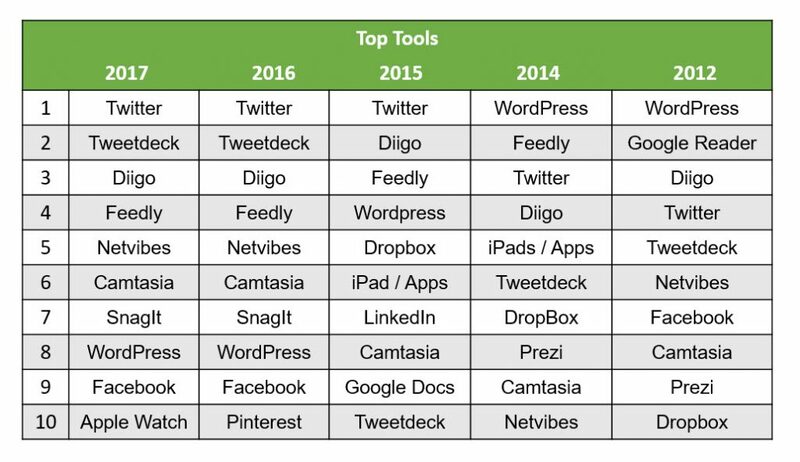 I look forward to seeing this year’s list…and I hope to spend some time this summer exploring some of the emerging tools that showed up last year. NextNext post: The Future of Higher Education?